These quality air filters come from German manufacturer filter specialists, Mann - OE manufacturer for many top European car makers. They offer original equipment quality at a value price. This convenient set of two filters is specifically for Rover vehicles that have two air filters stock - see vehicle fitment notes... or if you like to keep more than one filter on hand for future replacement! For routine air quality maintenance, this replacement filter is essential in removing particles such as dust, pollen, sand, soot or even drops of water out of the intake air. Replace regularly at Rover recommended intervals - more often in dry/dusty climates. This maintenance kit include two air filter elements. 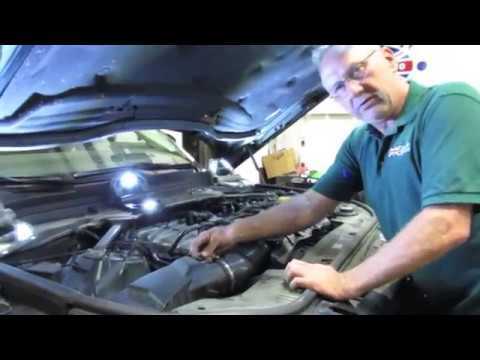 Atlantic British Ltd. Repair & Maintenance Academy How-To Video: Watch Gareth, our Land Rover Technician, explain the process involved in changing the 2 Air Filters on a Range Rover Sport 2014, Using kit # LR011593K, which includes 2 air filters.